The high, dry climate of the Colorado Front Range makes it tough to keep lawns green, but maintaining a good looking lawn does not have to mean applying excessive amounts of water. If the expected temperatures are below freezing and you have not yet had Sprinklers Inc perform a sprinkler blow-out for you. You should manually drain your sprinkler system to prevent freezing temperatures from rupturing your sprinkler system components. If you follow the steps below you should be able to spare yourself the expense of frost damage. You will need to locate the sprinkler mainline shutoff inside your home. Every home is different but this valve is usually located inside the mechanical room with your hot water heater or furnace. Once this valve is located turn it to the off position. Usually very close to the shut-off valve there is a drain valve. Open this valve, be careful, it may have pressure behind it that will bleed quickly. You may also want to have a bucket ready, there may be more than a gallon of water that will drain. Now you will need to locate the Anti-siphon Device or Backflow preventer on the outside of your home. This is a large copper or brass device. It should have two ball valves located on either end of the unit. These valves need to be turned to a diagonal position. This would be the half way position for the valve. There are also two small test ports on the side of the main body of the unit. Using a flat screwdriver, move these to the half position as well. On some units there will be drain fitting located beneath the Anti-siphon device or backflow preventer. Open this drain. Located normally in a green lidded box called the valve you will find your sprinkler system manifold drain. Turn this drain to the open position. If these steps are done whenever the overnight lows are below freezing you will prevent most frost damage to your sprinkler system. 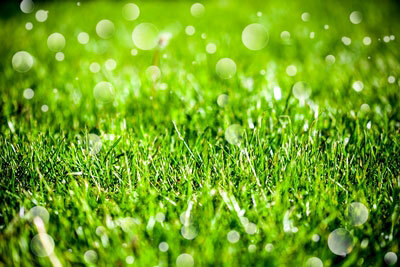 This will allow you to extend you watering season for your lawn and plantings. Once overnight freezing temperatures are sustained for multiple days, we recommend you have the professionals at Sprinklers Inc perform a sprinkler blow out. Sprinkler repair, Landscape design, Spring startups, Sprinkler installation, Sprinkler tune-up, Irrigation audits, Freeze damage repair, Fall landscape & yard cleanup, Sprinkler blowouts. Wade Carter of Sprinklers Incorporated runs you through draining your FEBCO 825Y-RP and Febco 765 Backflow Devices. Wade Carter of Sprinklers Incorporated walks you through how to drain your sprinkler system to help prevent freeze damage. 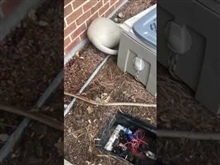 Todd Carter of Sprinklers Inc walks you through how to recharge your sprinkler system after a soft drain.